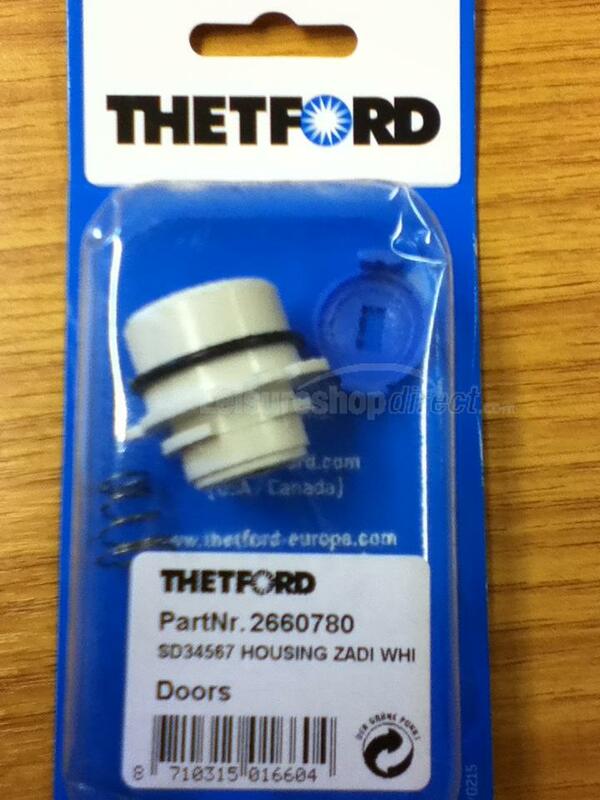 Zadi Barrel lock casing for Thetford service doors 3, 4, and 5. Also used on compartment doors. Colour white. Excellent product - I had concerns it would fit; but realised the piece of the old broken lock that the lever screwed onto replaced the blue plastic piece supplied. The new lock was very easy to fit. Supplied very quickly. 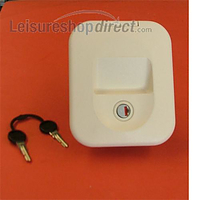 This is necessary if you wish to put a second key lock on the Thetford toilet cassette access door. 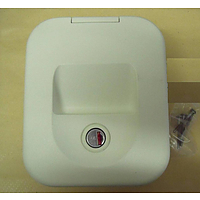 It is a simple operation but the door has to be removed and laid flat - a simple task to slide out the nylon hinge pins. 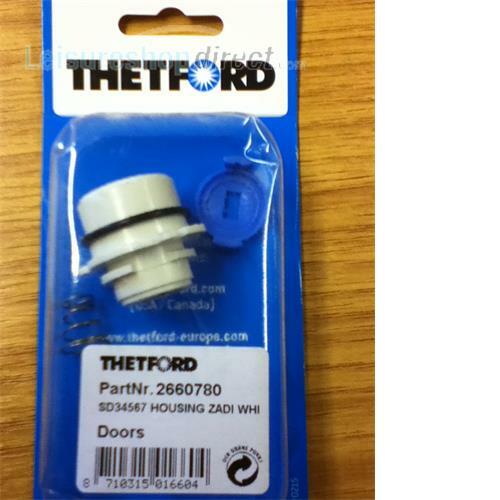 It is necessary to purchase the Spring for Thetford Door Mechanism (135449) at the same time (also reviewed). 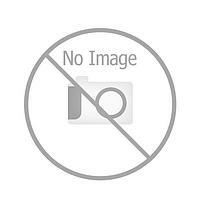 Good for the improved security and good quality.